I am forever on a mission to “sneak” healthy foods into my kids (and husbands) meals. 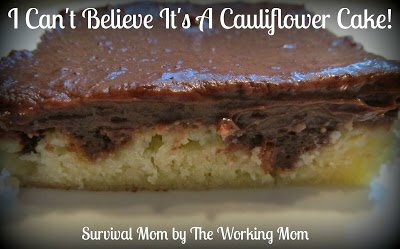 Well, not long ago I ran across the website Hungry Little Girl and saw this Cauliflower Poke Cake recipe and HAD to give it a try! I know you might think the mixture of Cauliflower and Chocolate sounds weird but really what DOESN’T go with Chocolate?!?! The results? It was actually really good but the real test was my family. 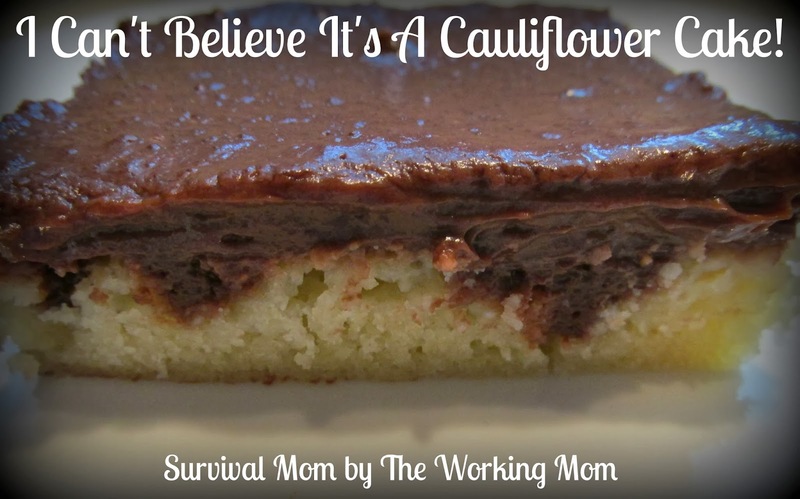 Immediately after making the cake, I served it to my kids and they complained that it tasted “weird” and I have to admit it did have that cauliflower flavor. If you want to get rid of the cauliflower taste then I suggest waiting a day before serving it. I think that gave it time to let the chocolate pudding flavor sink in. Without further ado, here is the recipe! 1. Preheat oven to 350 degrees and spray 8×8 pan with nonstick cooking spray. 2. In a blender mix egg, chocolate chips, cauliflower, milk and oil. Add dry ingredients together and fold in the wet ingredients. 3. Bake for 35 minutes and immediately poke holes into cake once done. 4. Prepare pudding and pour over top. 5. Refrigerate for 3 hours and serve!